There's going to be a picnic and everyone is pitchin' in...the Lady Bugs are in charge of proper etiquette, the Army Ants will handle security, the Fireflies are in charge of lighting, and entertainment will be provided by the Bumble Bees. Looks like everything is set! But what's this!?! The Stink Bug wants to come too! Buzz on over to the country-style hoedown and help the critters rescue the party! 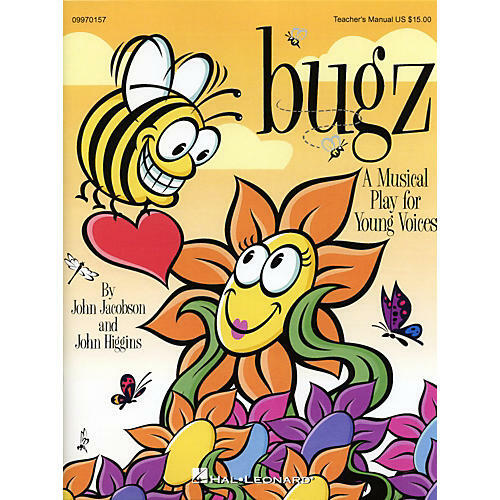 20 minutes long for Grades K-4, it includes five original songs and clever rhyming dialog. The Teacher's Manual comes complete with piano/vocal arrangements, script, choreography and a production guide. The Reproducible Pak includes vocal lines, lyric sheets and dialog.